Congratulations to the new couple on upcoming wedding! 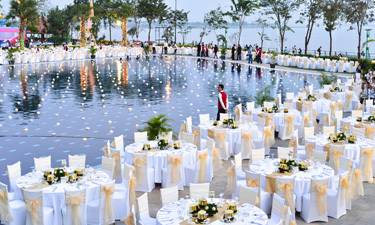 The magic of enchanting Cambodian tradition meets modern wedding perfection at Sokha Hotels & Resorts. Sokha Phnom Penh Hotel & Residence offers unique wedding venues give an elegant ambiance to ensure couples the wedding of their dreams, be it wedding by the pool where couples can celebrate under the stars in the enchanting riverside of the Chaktomuk river opposite the Royal Palace at Sokha Phnom Penh Hotel & Residence or a grand magnificient ballroom with romantic evening of fine food and wine. 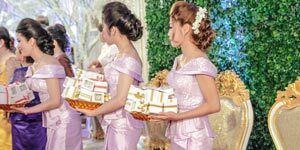 Sokha Hotels & Resorts delicate team of wedding planners will assist from picture perfect until the wedding day, a theatrical entrance from our luxury limousine to a fairytale wedding. 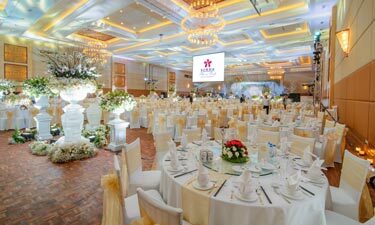 Sokha Phnom Penh Hotel & Residence is the best selection for your elegant venue with 5 stars services, to fill your dream wedding of decoaration and style. 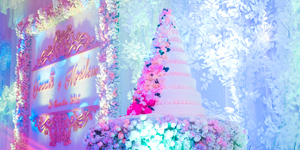 Many choices of wedding cake prepared by our professional and talent chefs who are very details with art- decoration, to make your unique wedding looks modern and significance. 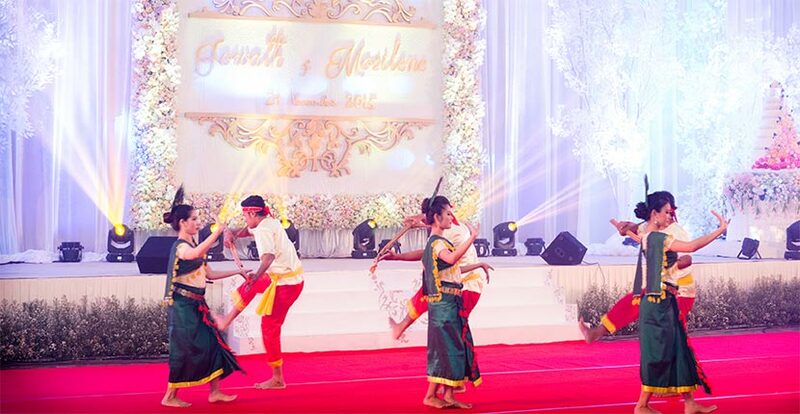 Celebrate Khmer traditional wedding ceremony at Sokha Phnom Penh Hotel & Residence. 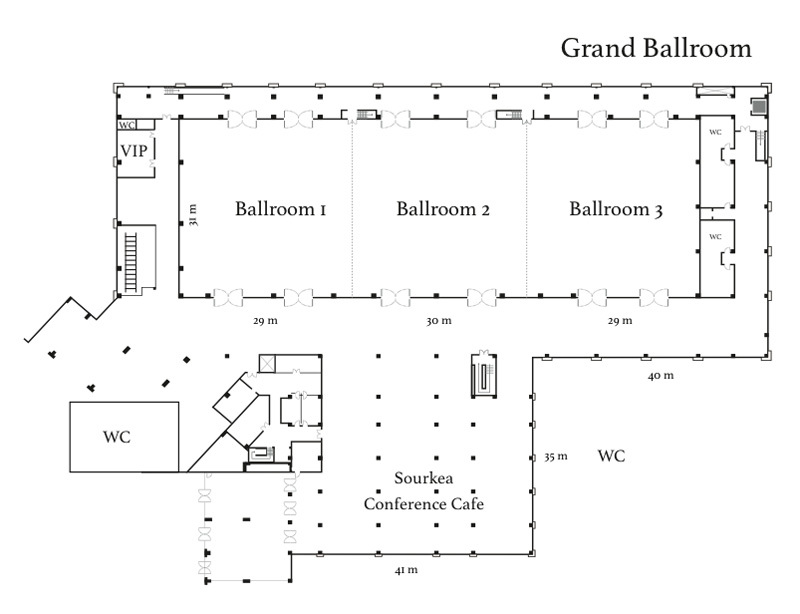 The big space of grand ballroom and parking area are best venue available for your morning ceremony “Hae Chumnon and other necessary traditional program”. 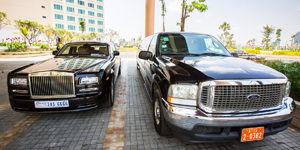 Make the entrance of a lifetime with Sokha Phnom Hotel & Residence’s impressive selection of transportation with an elegant customized fleet of Limousine or Rolls Royce, or via helicopter from Sokha Phnom Penh Hotel’s private helipad. 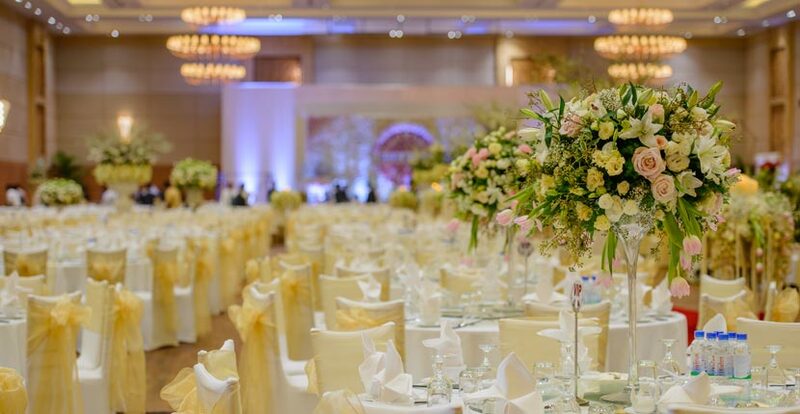 Sokha Phnom Penh Hotel’s professional catering team, talented team of chefs and culinary experts are on hand to help your outside catering from an elaborate banquet style dinner to a buffet-style spread, fine dine set menu and beyond. 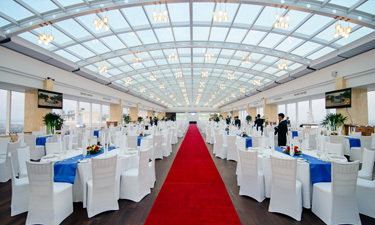 With soaring ceilings, wall draped in rich exotic fabrics and a glistening crystal chandelier, our grand ballroom boasts a classic setting for a large high-profile wedding banquet up to 1,600 guests. 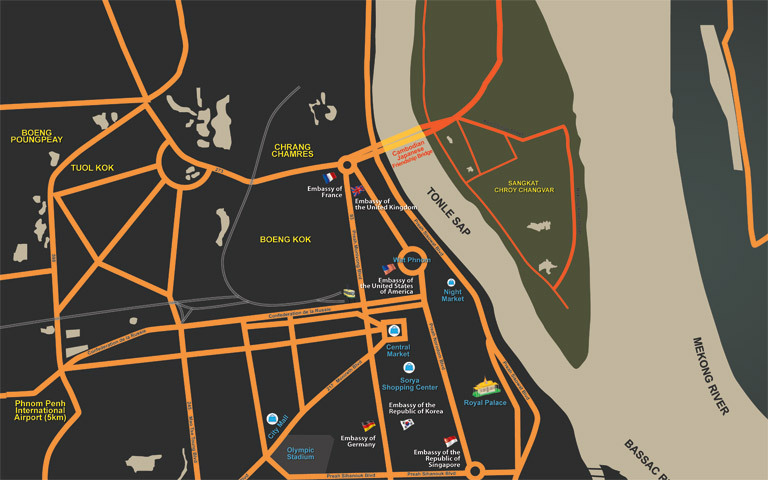 On the 20th floor of the hotel, your wedding guests will enjoy dining and drinking experience with panoramic view of the Mekong River and Phnom Penh city skyline. 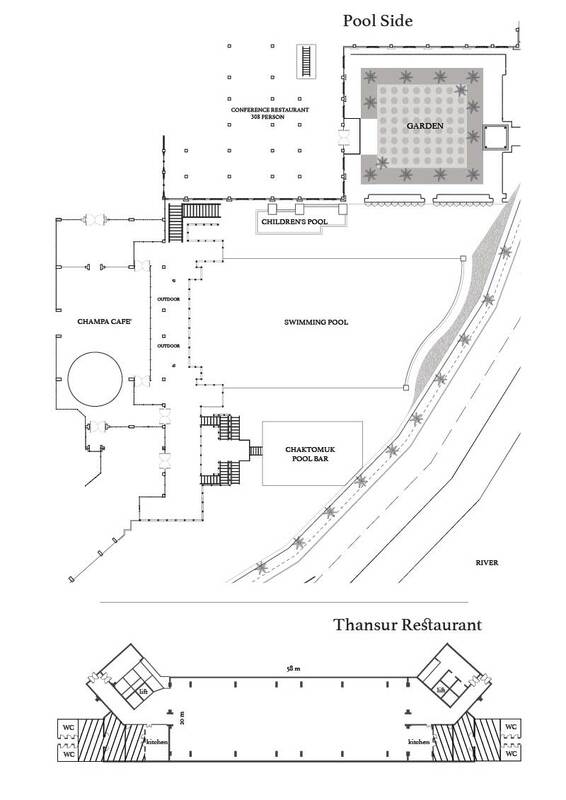 Thansur Restaurant can accommodate an intimate banquet for 400 persons or an elegant cocktail reception up to 650 persons. Relaxed with luxurious, guests can enjoy and breeze as they wine, dine and dance under the starts while surrounded by magnificent river views of Mekong River. 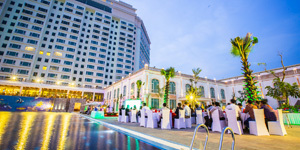 End the evening perfectly with Phnom Penh city, banquet tables setup under the stars surround a big swimming pool and the wedding floating stage on a clear blue water of swimming pool.